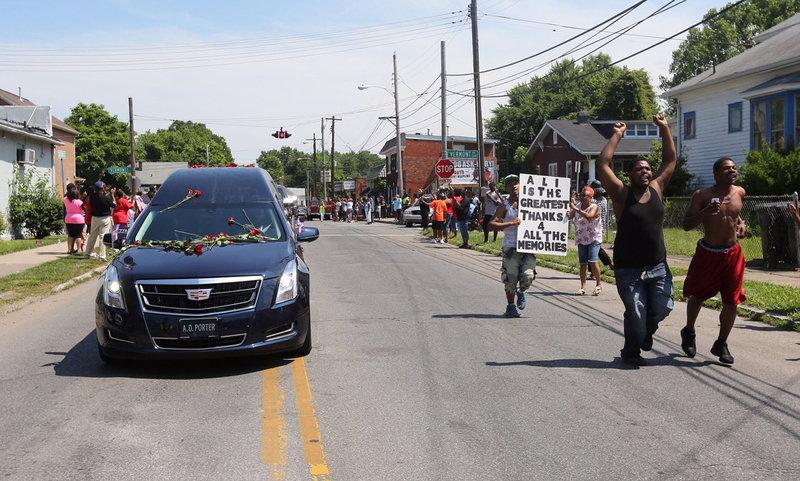 A hearse carrying the body of the late Muhammad Ali drives down Muhammad Ali Boulevard to Cave Hill Cemetery in Louisville, Kentucky, U.S. June 10, 2016. 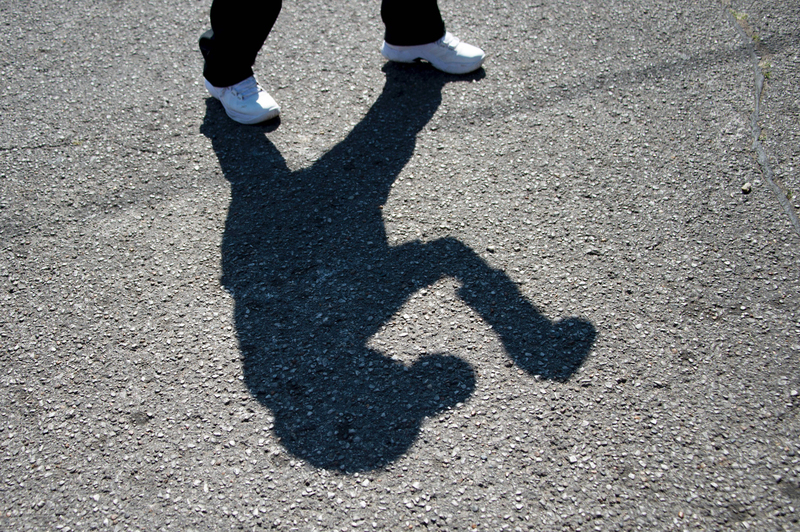 Thirteen-year-old Malik Parker shadow boxes outside boxing legend Muhammad Ali's childhood home where mourners wait to pay their respects during a funeral procession on June 10, 2016 in Louisville, Kentucky. 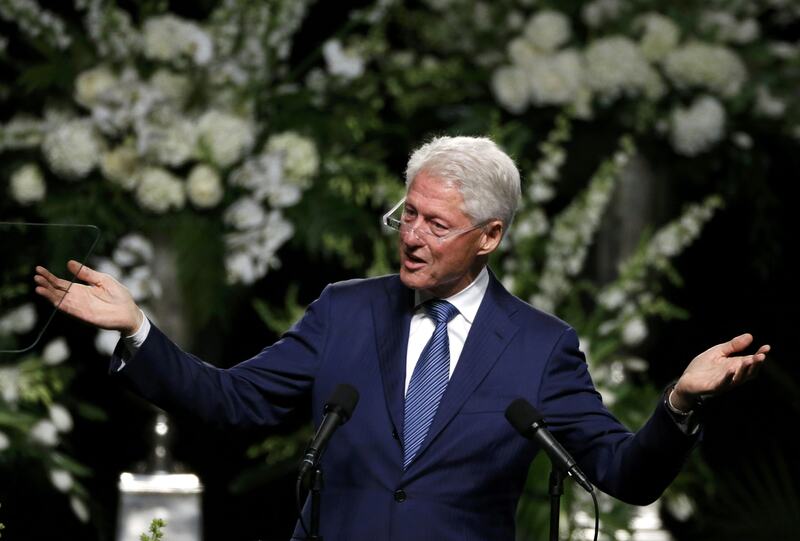 Thousands of people from near and far were expected to line the streets of Muhammad Ali's hometown Louisville on Friday to say goodbye to the boxing legend and civil rights hero, who mesmerized the world with his dazzling skills. 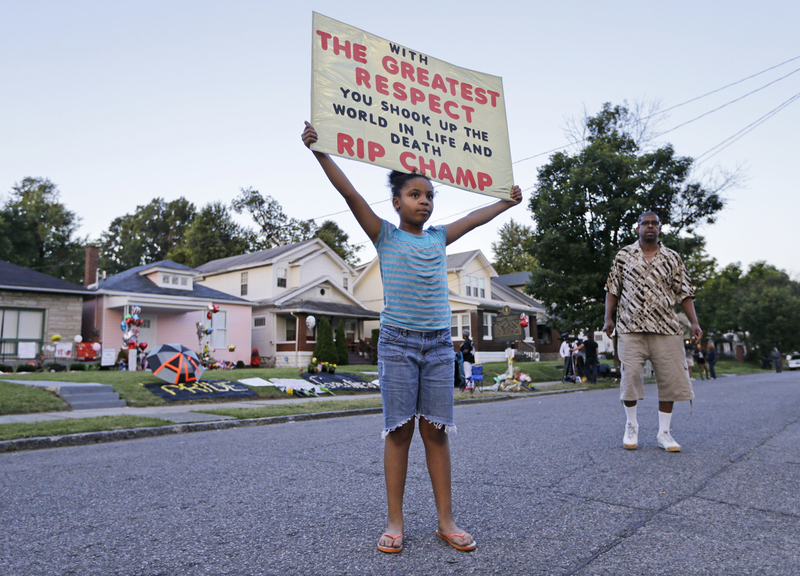 Akera Price-King, 9, carries a sign saluting Muhammad Ali on the street in front of Ali's boyhood home Friday, June 10, 2016, in Louisville, Ky. Ali's funeral procession is scheduled to pass by the house later in the day. 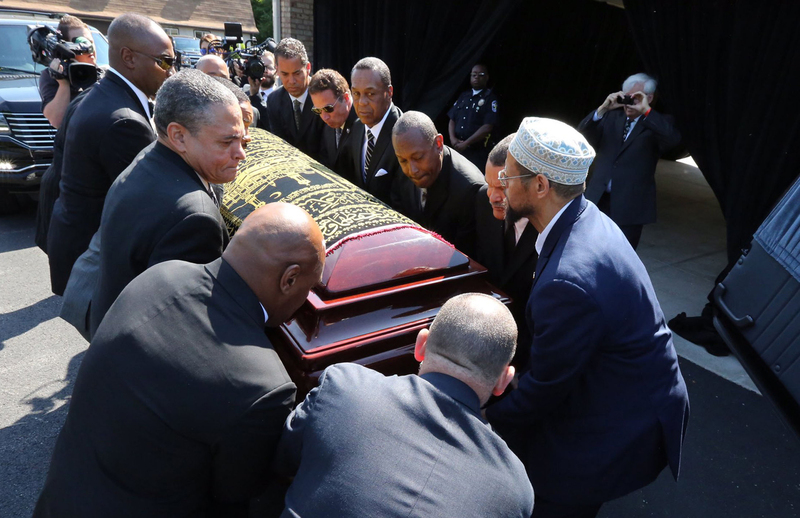 Pall bearers place casket of Muhammad Ali in the hearse as it prepares to begin a procession through the fighter's hometown during the memorial service for Muhammad Ali. 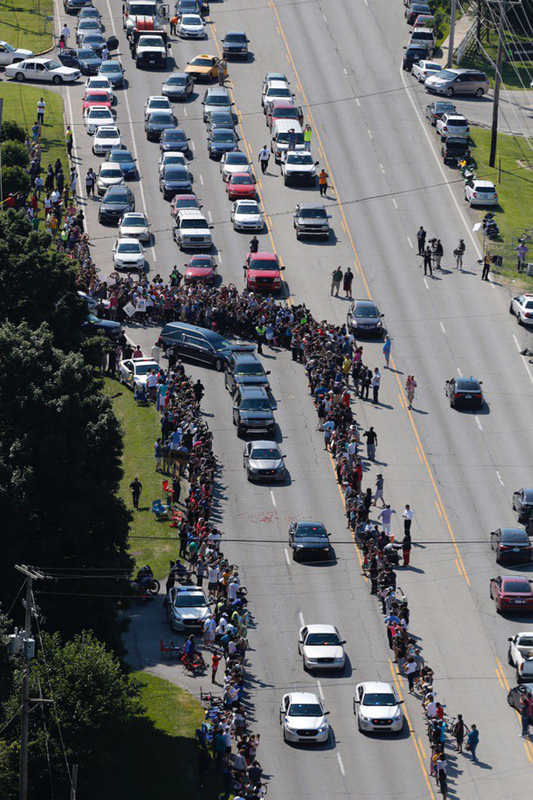 Crowds file into Bardstown Road as the procession carrying the body of Muhammad Ali begins it's winding path through the fighter's hometown of Louisville. 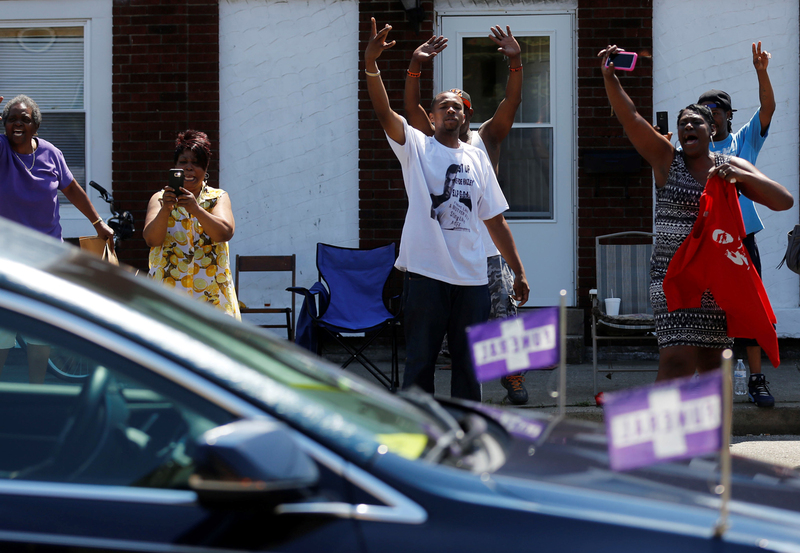 The hearse carrying the body of Muhammad Ali nears his boyhood home during a procession through his hometown of Louisville. 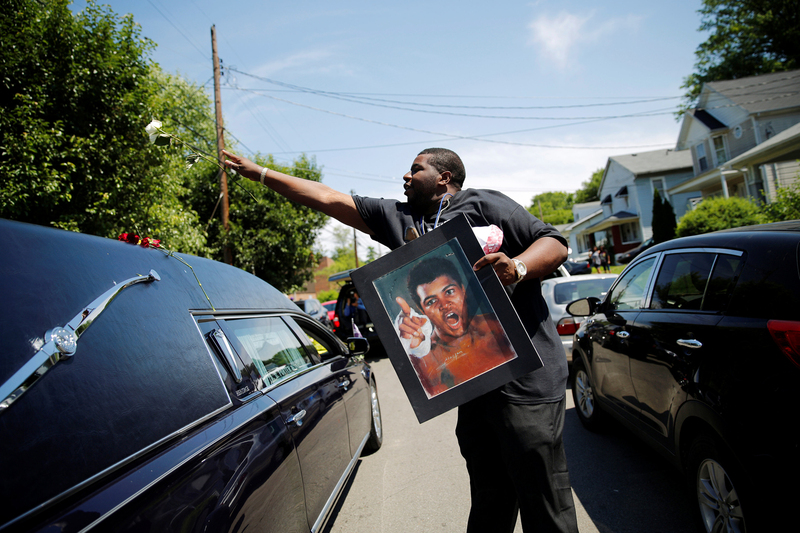 A man throws a rose over the hearse carrying the remains of Muhammad Ali during the funeral procession for the three-time heavyweight boxing champion in Louisville, Kentucky, U.S., June 10, 2016. 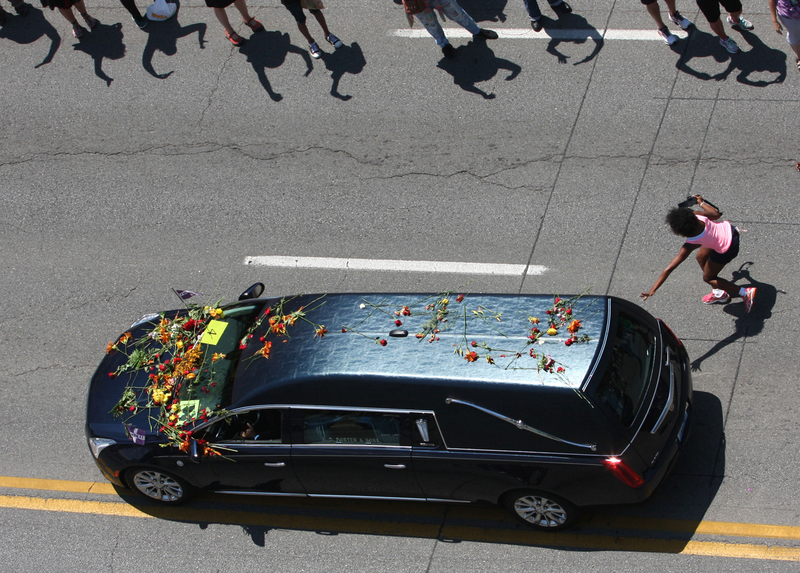 A girl rushes to touch the hearse carrying the body of boxing legend Muhammad Ali as the funeral procession winds through his hometown of Louisville. 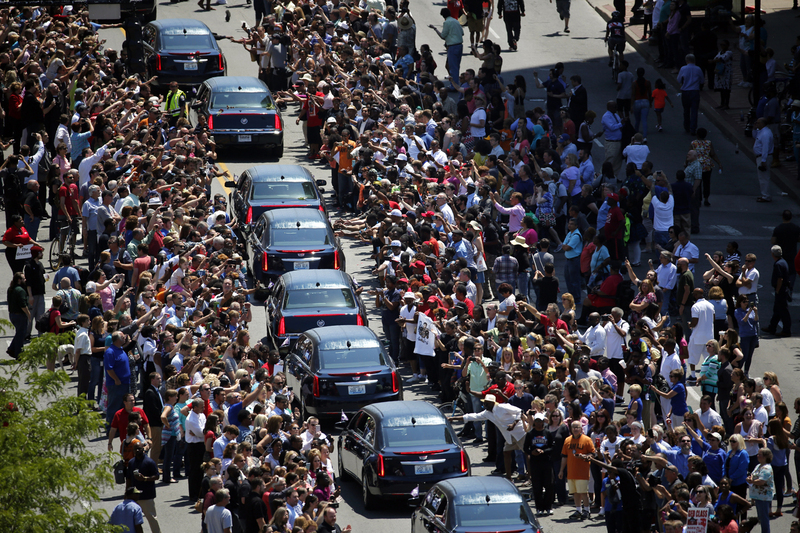 Fans of professional boxer Muhammad Ali are seen during a public funeral procession and memorial service for the former boxing world champion and sporting icon Muhammad Ali in Louisville, Kentucky on June 10, 2016. 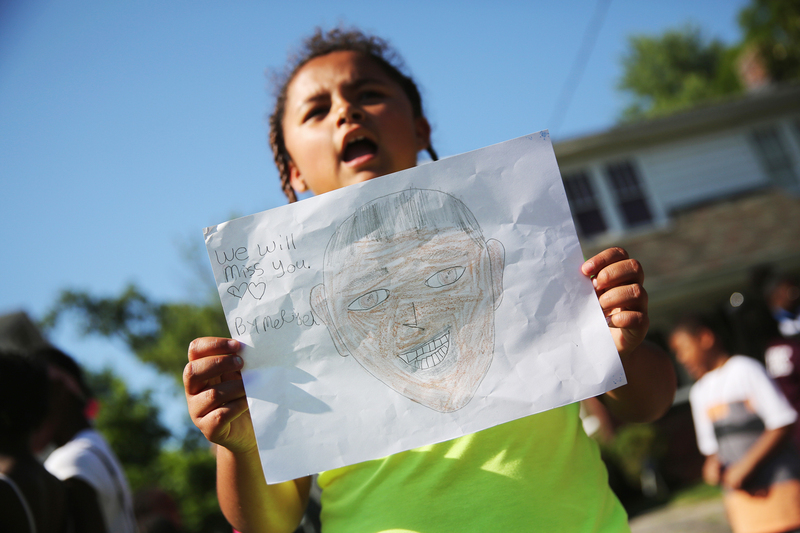 A child shows off a hand-drawn portrait while awaiting the hearse carrying the body of Muhammed Ali to pass by his childhood home on June 10, 2016 in Louisville, Kentucky. 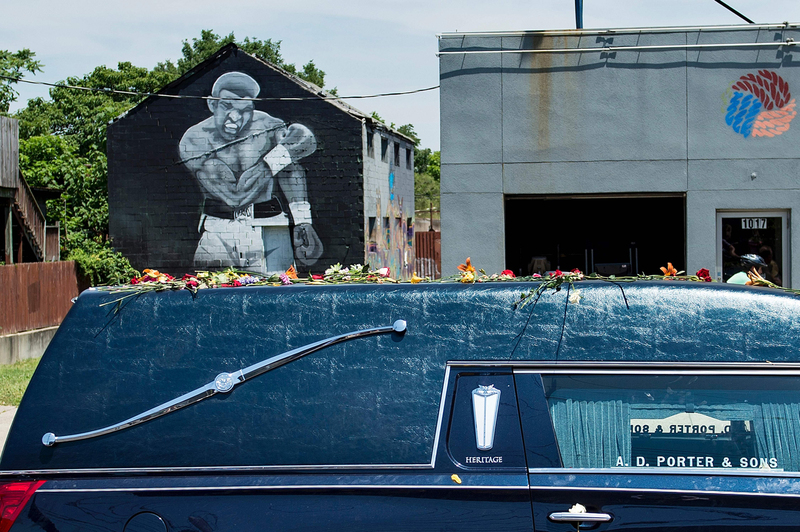 The funeral possession wound through Louisville, preceding a memorial service and giving the public an opportunity to honor the four-time world heavyweight boxing champion, who died on June 3 at age 74. 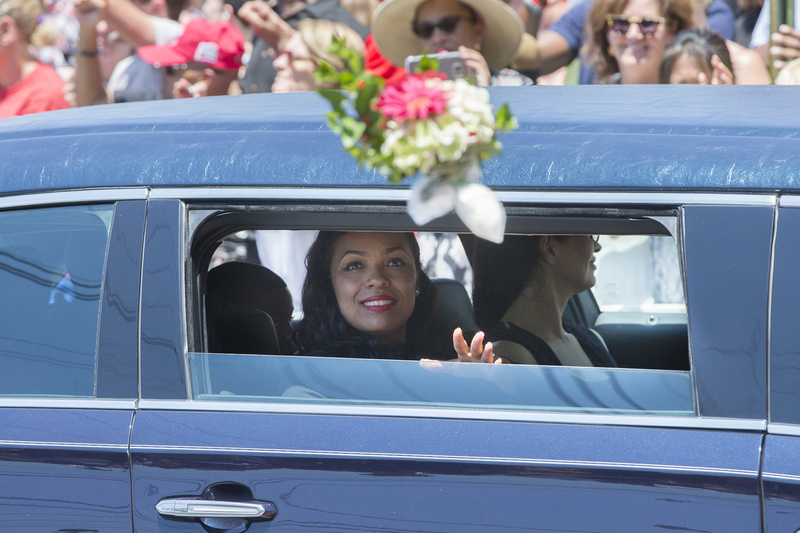 Hana Ali, daughter of Muhammad Ali, is throw flowers as she rides in her father's funeral procession while it enters Cave Hill Cemetery, Friday, June 10, 2016, in Louisville, Ky. 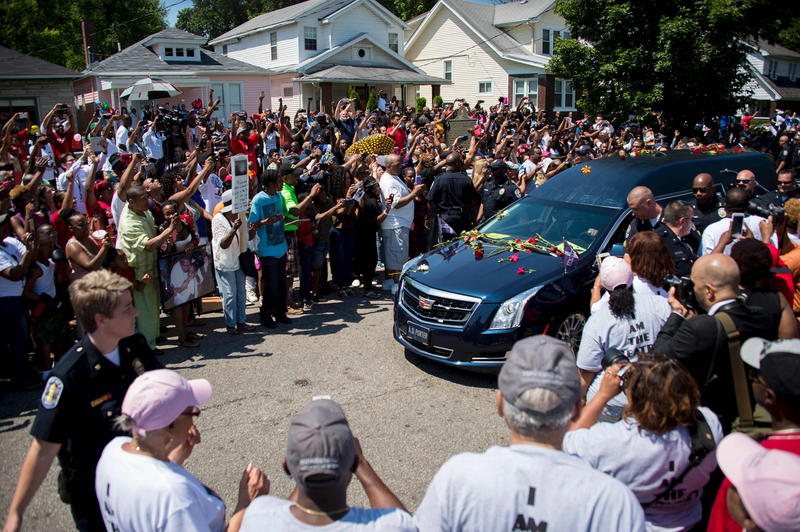 The hearse carrying boxing legend Muhammad Ali stops outside his childhood home where mourners wait to pay their respects on June 10, 2016 in Louisville, Kentucky. 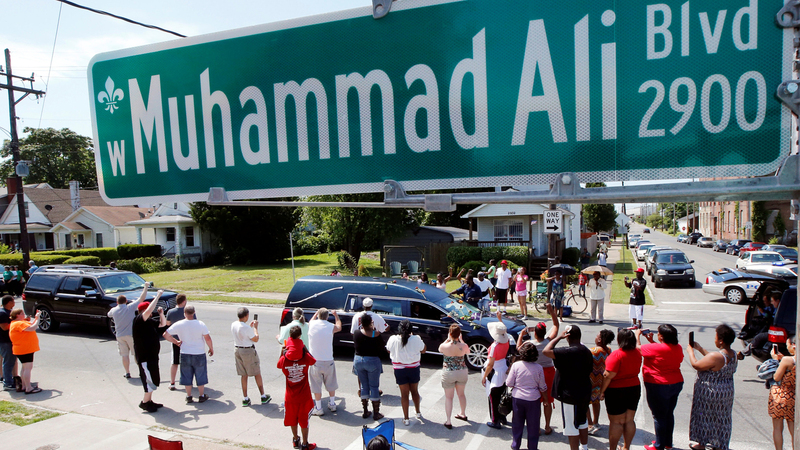 Thousands of people from near and far were expected to line the streets of Muhammad Ali's hometown Louisville on Friday to say goodbye to the boxing legend and civil rights hero, who mesmerized the world with his dazzling skills. 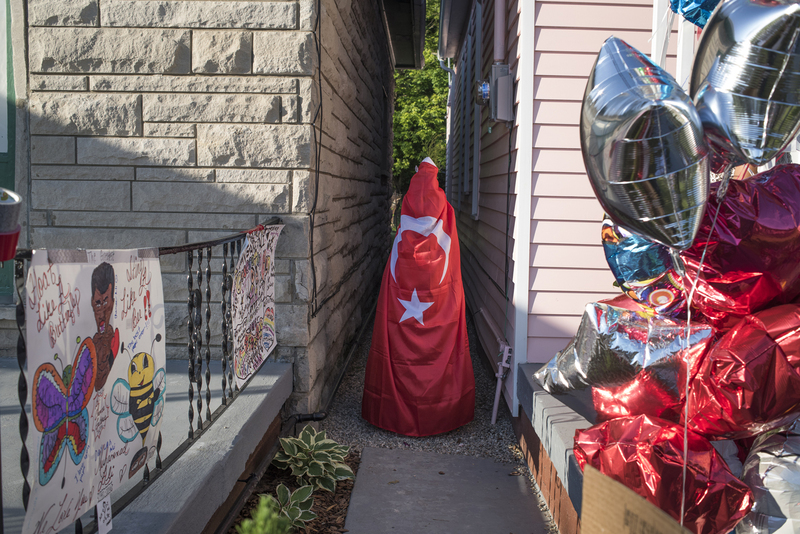 People place flowers and other gifts of remembrance around Muhammad Ali's childhood home on Grand Avenue on June 10, 2016 in Louisville, Kentucky.The funeral procession for Ali will be traveling over 20 miles on a designated route throughout Louisville. 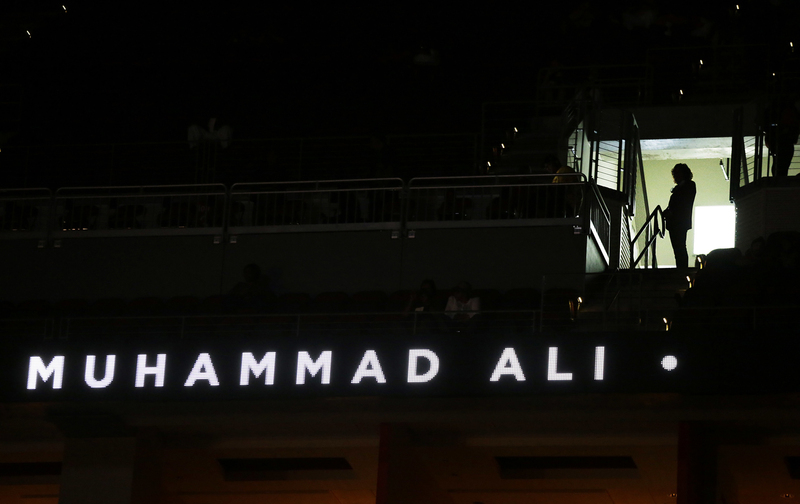 The four-time world heavyweight boxing champion died on June 3 at age 74. 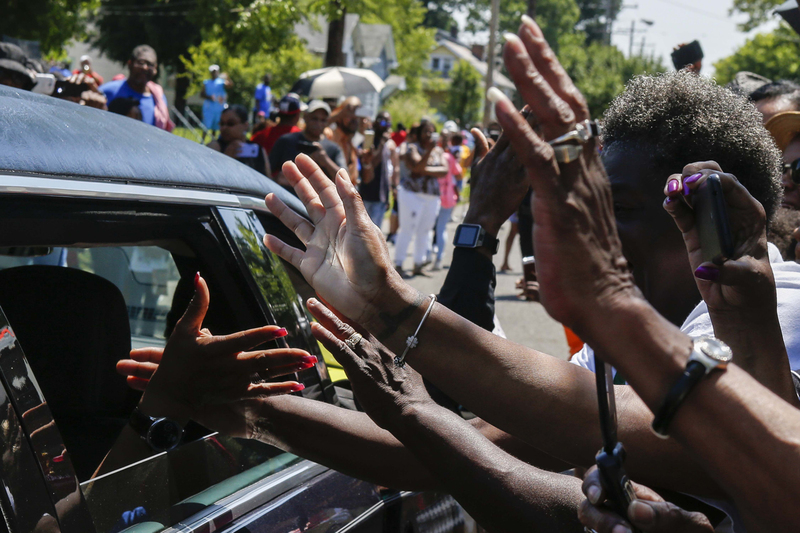 Fans reach out to touch the hands of passengers in the funeral procession for Muhammad Ali as it makes its way past his boyhood home on Grand Avenue. 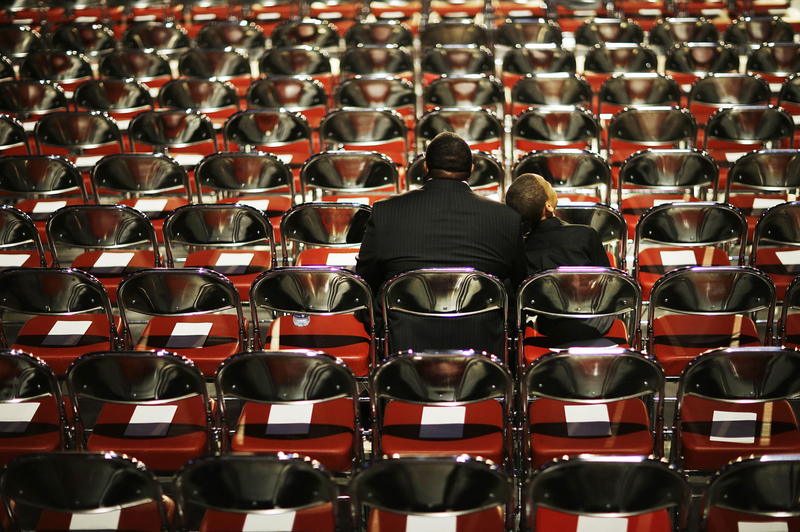 Stephfon Moran, left, sits with his grandson Kevin Slaughter, 9, as they wait for Muhammad Ali's memorial service to begin Friday, June 10, 2016, in Louisville, Ky.
An audience member arrives for Muhammad Ali's memorial service Friday, June 10, 2016, in Louisville, Ky. 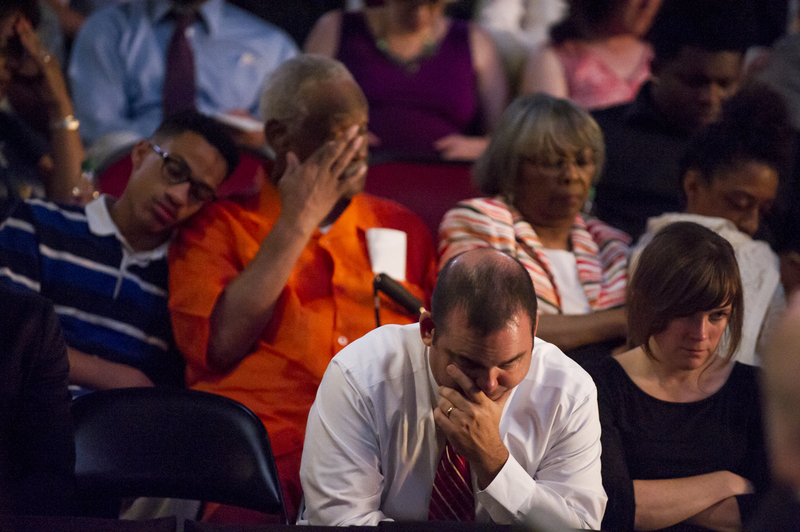 Attendants to Muhammad Ali's public service react to Dr. Kevin Cosby's speech at the service. 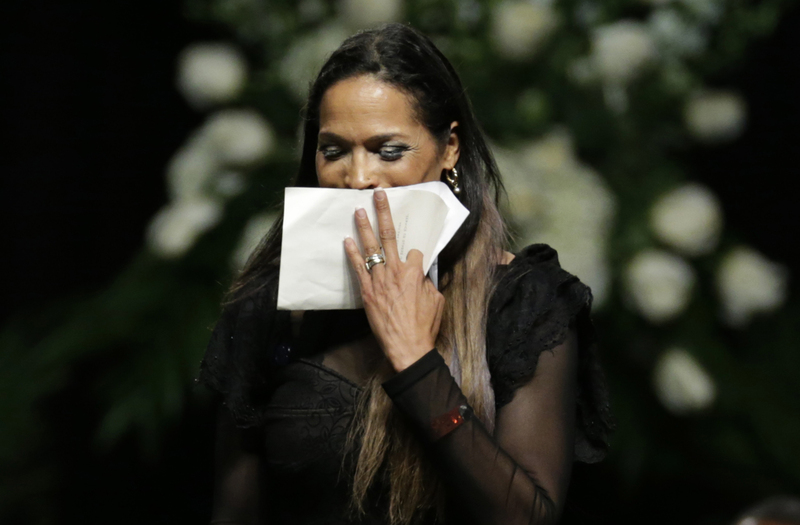 An estimated 15,000 people were expected to attend Ali's service at the Yum! Center on June 10, 2016, in Louisville, Kentucky. 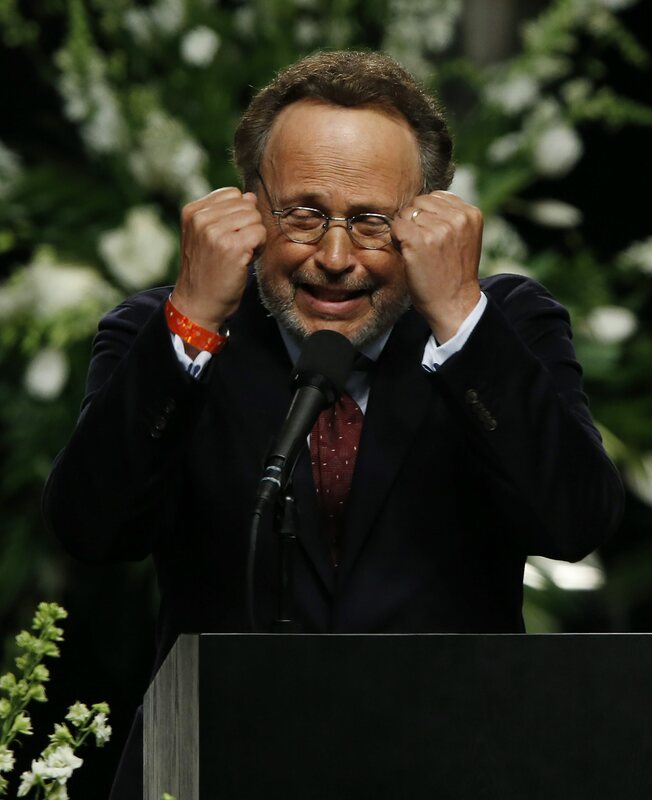 US actor and comedian Billy Crystal delivers a eulogy during the Muhammad Ali funeral service at the KFC YUM! 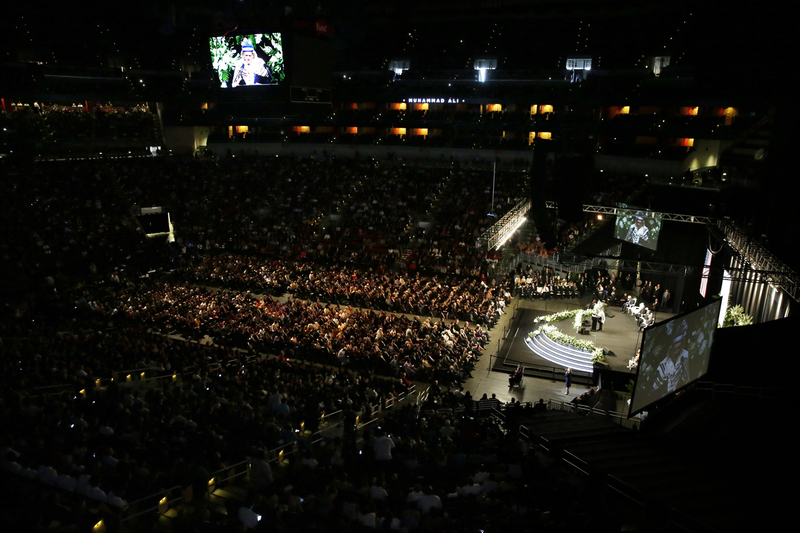 Center in Louisville, Kentucky, USA, 10 June 2016. Born Cassius Clay, boxing legend Muhammad Ali, dubbed as 'The Greatest,' died on 03 June 2016 in Phoenix, Arizona, USA, at the age of 74. 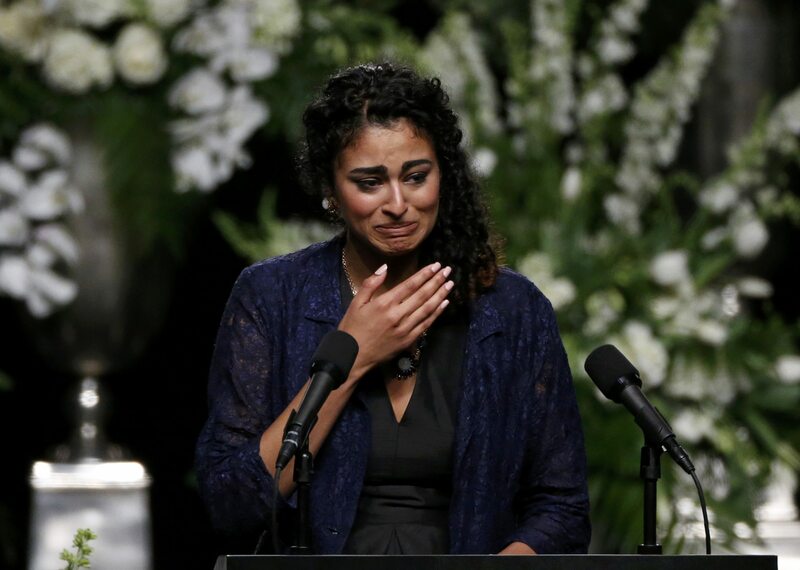 Rabbi Michael Lerner speaks during Muhammad Ali's memorial service, Friday, June 10, 2016, in Louisville, Ky.
Muhammad Ali's daughter Rasheda Ali-Walsh walks off the stage after speaking during his memorial service, Friday, June 10, 2016, in Louisville, Ky.